Qualcomm has shown numerous ways it is going to deliver better performances with the help of 5G technology at CES 2017. Qualcomm’s CEO says 5G will revolutionize the entire tech industry. As we all know the new technology to create much faster and more flexible 5G wireless networks are in progress. 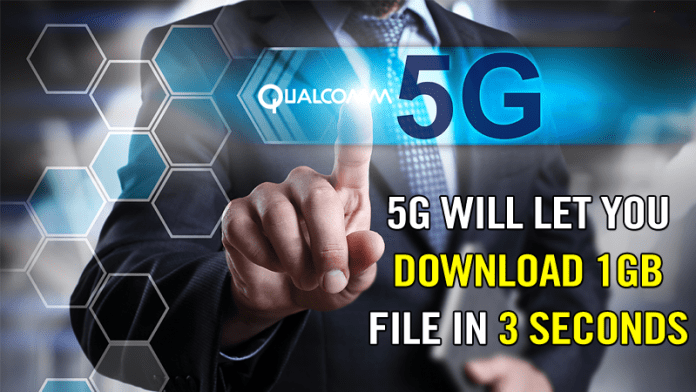 Qualcomm is working hard to dominate the 5G section, in the communication industry. Qualcomm has shown numerous ways it is going to deliver better performances with the help of 5G technology at CES 2017. Qualcomm’s CEO SteveMollenkopf even shared research on 5G technology. Qualcomm’s CEO Steve Mollenkopf said that 5G is not the upgraded version of 3G and 4G technologies. It is the next gen connectivity that will take us to the age of VR live-streaming, autonomous cars that respond to real-time conditions. 5G is expected to increase the data speeds and reduce the related costs. The most important thing about 5G is its low latency. With the help of one-millisecond latency, many incredible and mission critical operations will become possible. Steve Mollenkopf believes that Qualcomm’s new processor Snapdragon 835 will bring new and improved features to the smartphones and the company had collaborated with Ericsson and AT&T to work on 5G infrastructure. So, what do you think about 5G? Share your views in the comment box below.